But Tim Hortons is probably still king when it comes to breakfast, an expert says. A McDonalds sign is seen at one of their fast food restaurants in Toronto, May 1, 2014. TORONTO — Alongside the Egg McMuffins, hashbrowns and hotcakes that have been on McDonald's menus for years, consumers who visit the fast food giant's restaurants Thursday might spot something new on the menu boards. McDonald's Canada starts serving bagels at its restaurants across the country this week, following a four-month pilot in Ontario. The product addition signals an intensification of breakfast wars in Canada as eateries compete to earn dollars associated with the first meal of the day. In recent years, McDonald's and A&W put pressure on competitors when they expanded breakfast from a short window to all day, putting them head-to-head with offerings from Tim Hortons, Starbucks, Country Style and even, Taco Bell and Burger King. An Egg McMuffin meal is pictured at a McDonald's restaurant in Encinitas, California August 13, 2015. It's a high stakes competition. Breakfast is the fastest-growing part of the day for restaurants since 2012, according to research companies NPD Group and Nielsen, and breakfast sandwiches make up a third of all orders placed during that time of day. McDonald's plans to sell bagels in a variety of flavours: original, everything, multigrain, and cinnamon and raisin. In Quebec, where consumers favour sesame bagels, the company will swap it with the everything variety. Customers can choose between two types of cream cheese or butter to smear on the bagels, and can substitute a bagel for the bread portion of breakfast sandwiches. "Our goal is to grow our breakfast business," said Anne Parks, director of McCafe menu management for McDonald's Canada. "We know bagels are a billion-dollar category with over 290 million servings (per year) and it is something our guests have been asking for, so the time is right." McDonald's menu expansion comes as one of its biggest breakfast rivals, Tim Hortons, and some of its franchisees are engaged in a public battle that's resulted in multiple lawsuits between an unsanctioned franchisee group and the chain's parent company, Restaurant Brands International. One alleges the company improperly used national advertising funding and delays in the delivery of restaurant supplies. RBI denies the allegations and they have not been proven in court. But despite its troubles, Tim Hortons is probably still king when it comes to breakfast, said Mike von Massow, an associate professor of food economics at the University of Guelph. Even after Tim Hortons dropped to 50th place from fourth place in a recent brand reputation rankings survey, he said he still sees long lines at the chain's locations and people drinking their coffee. "People might think less nostalgically or warmly about Tim Hortons, but I doubt it has made a whole lot of difference in terms of sales and if they have gone down, it is only marginally because they are still the dominant player," he said. When asked if he was worried about other brands trying to swoop in and capitalize on the rough patch that has fallen over Tim Hortons, the coffee-and-doughnut chain's president Alex Macedo said the company has "some very good competitors." But the Tim Hortons brand is "the strongest," he said, and its breakfast products are "the best in Canada." Tim Hortons recently-launched plans to keep improving its business should make rivals "very concerned," he added. Parks denied McDonald's bagel launch was timed to take advantage of its competitor's troubles, stressing it came about due to customer demand and the results of a survey McDonald's and research company VIGA conducted. It found that 53 per cent of Canadians that tried McDonald's bagels and were surveyed would recommend them to a friend, she said, and that 61 per cent would order a coffee with their bagel. "This is our journey," Parks repeatedly said. "We launched coffee quite a few years ago and it has been very well received by guests. And then we moved into all-day breakfast, which was the next phase of the journey, and what we learned through consumer research is the perfect food that goes with coffee is bagels. So that was the next phase." 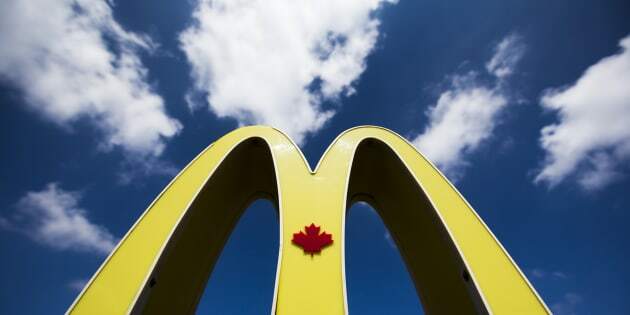 Parks wouldn't say what's next for the brand's breakfast plans, but admitted that the Canadian branch of the company always keeps an eye on innovations from McDonald's international divisions. Overseas McDonald's locations have sold porridge, breakfast pies, toast, croissants, broth and noodles. Von Massow said it's hard to predict what will be the next hot item in the breakfast wars, but he thinks Canada will see companies try to differentiate themselves in the same way burger brands did with things like angus burgers and innovative toppings. He anticipates growth from non-meat proteins in the breakfast business. "Eggs do it for some people, but there are other things" he said. "I am sure in the product development offices of all of these (companies) they are coming up with different things."